Create the Tequila Sunrise colour gradient in seconds, minus the alcohol! Simply mix lime cordial with orange juice and add some grenadine syrup. 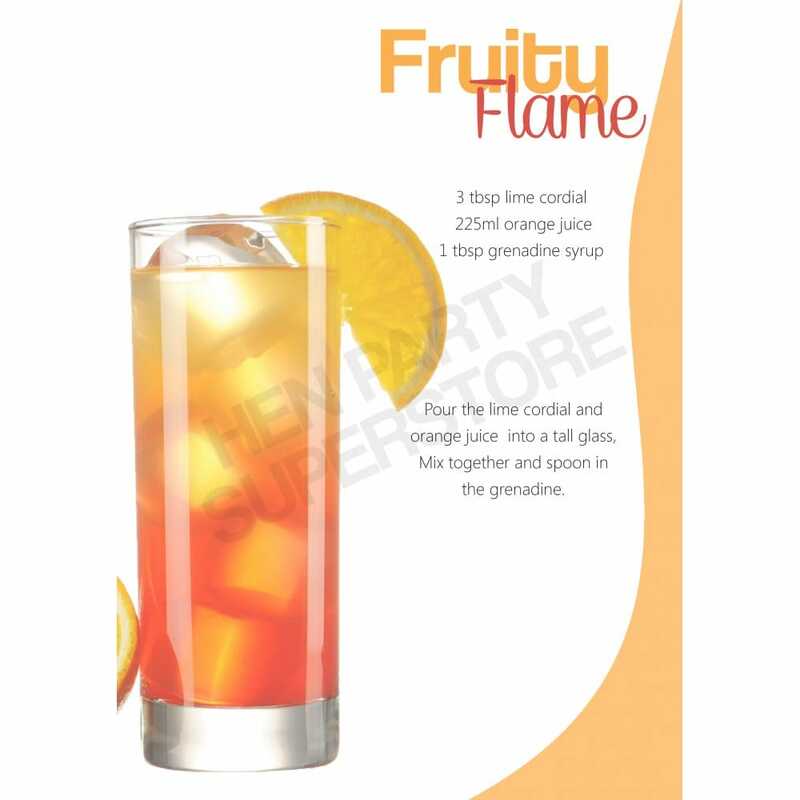 This Fruity Flame Mocktail is ideal for summer Hen Parties. Enjoy sipping an iced glass of this fruity pleasure, while enjoying the late afternoon sunshine and preparing for the night ahead.